I am new to this GMAT course, I have an idea of exam pattern. Thinking to write this December. Please help me in this regard. 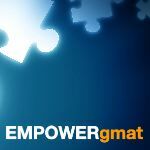 I have written a post on How to Start GMAT Preparations that might help!